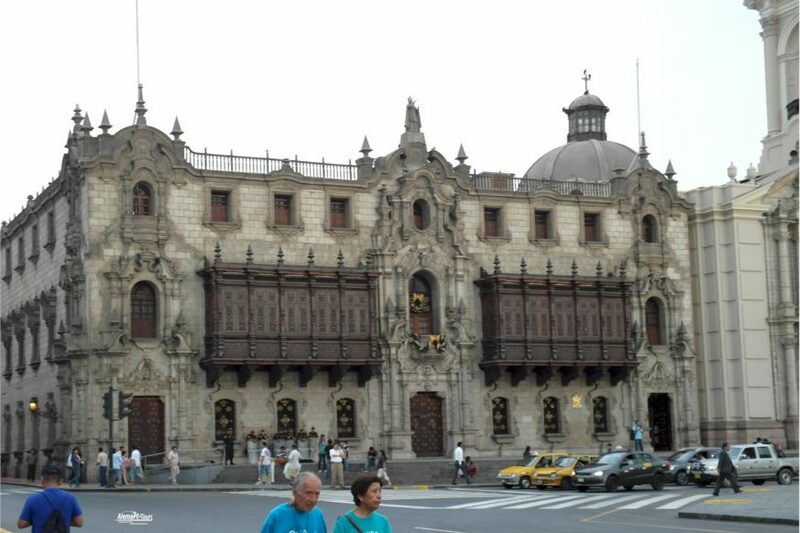 The construction of the first magnificent building at this point goes back in history to the year 1535. 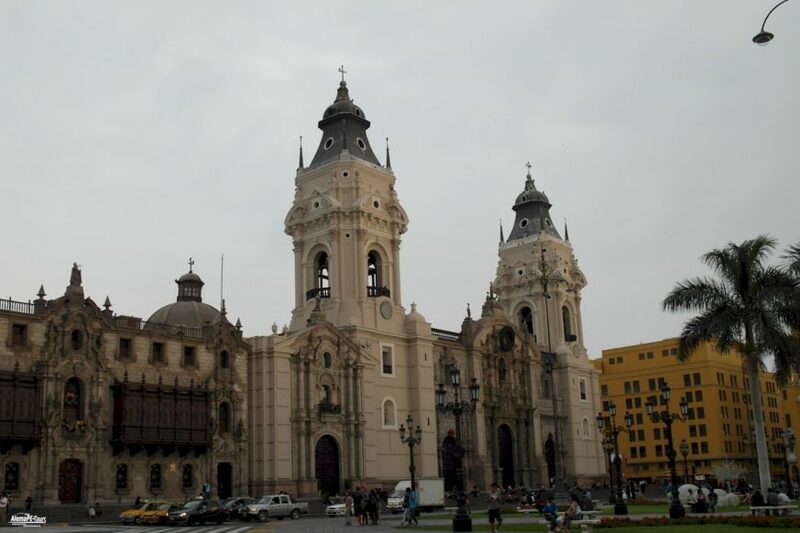 The Spanish conqueror Francisco Pizarro, who subjugated the Inca empire to the Spanish crown and founded the city of Lima, is said to have carried the first stone of the cathedral on his own shoulders to this place. 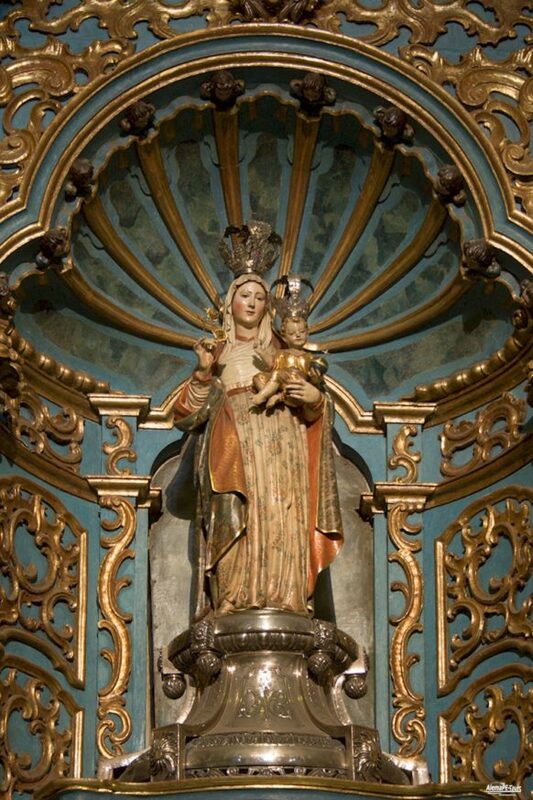 About five years later, on March 11, 1540, the opening and consecration of the then very simple church followed. Since then, numerous renovations, changes and extensions have been made to the facade and the equipment. 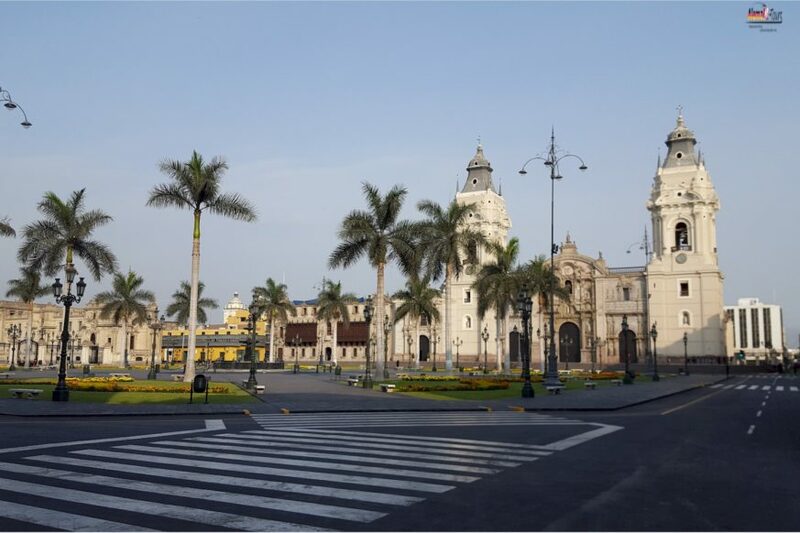 Thus, the typical colonial facade has remained relatively well preserved until today. 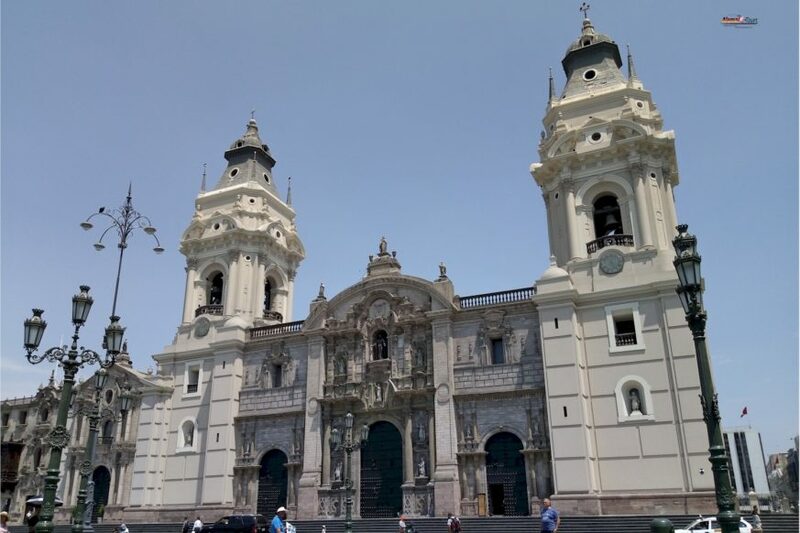 The appearance of the imposing structure visible today dates back to the third cathedral from 1746, as the previous church was destroyed by an earthquake in 1609. 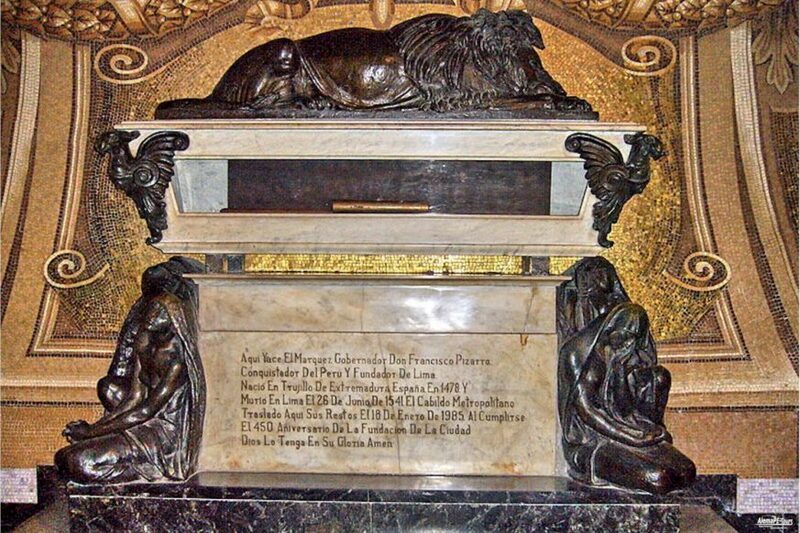 The first right side chapel houses the remains of Francisco Pizarro. 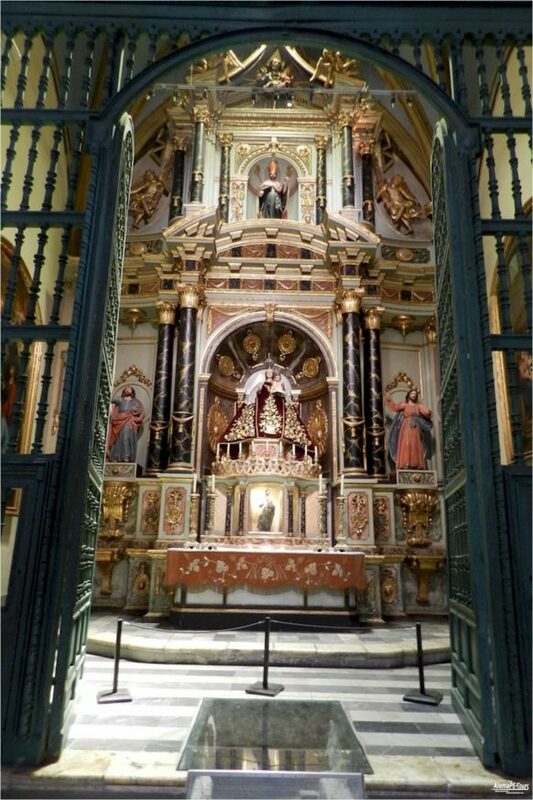 Admission is always possible outside the church services and currently costs 10 soles, including a visit to the religious art museum to the right of the main altar. 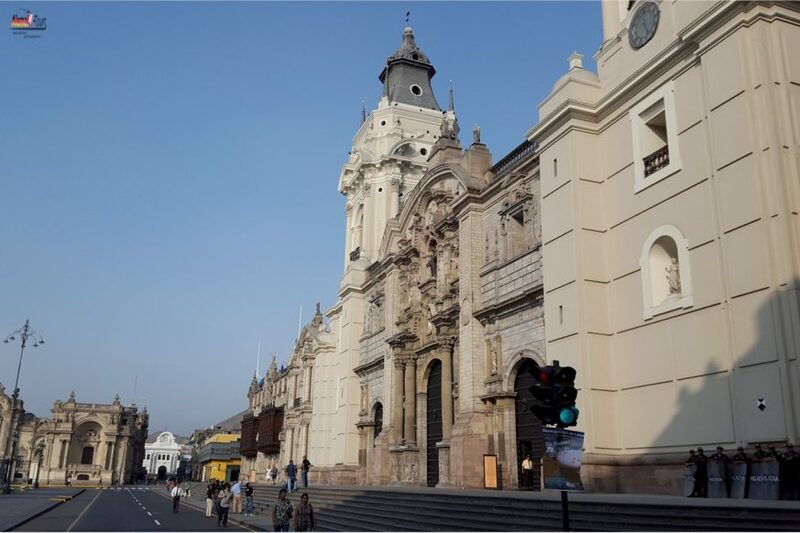 The apostles welcome you at the three mighty entrance portals on the main side of the cathedral towards the Plaza de Armas. From the two bell towers between which the Peruvian coat of arms emblazon, you can look down on the tiny visitors of the Plaza Mayor. The access is through the main main portal, which is also called the “Gate of Forgiveness”. 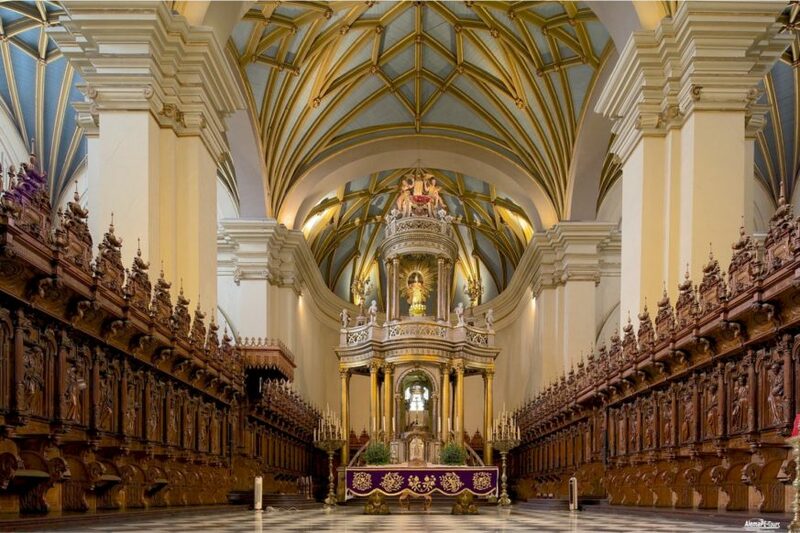 The inside of the cathedral shows the beautiful choir stalls and the baroque high altar, which is made of wood carving with ornate gold leaf.